EEG, MEG, membrane, cable theory, synchrony, electromagnetism, source current, return current, volume conduction, multipole expansion, dipole, head model, conductivity, boundary conditions, lead field, half-sensitivity volume, data recording, reference electrode, average reference, spline interpolation, surface Laplacian, spatial filter. Arfken GB, Weber HJ (1995) Mathematical Methods for Physicists. Academic Press. Barnard ACL, Duck IM, Lynn MS, Timlake WP (1967a) The application of electromagnetic theory to electrocardiography: I. Derivation of integral equations. Biophysical Journal 7: 443-462. Barnard ACL, Duck IM, Lynn MS, Timlake WP (1967b) The application of electromagnetic theory to electrocardiography: II. Numerical solution of the integral equations. Biophysical Journal 7: 463-491. Barr RC, Ramsey M, Spach MS (1977) Relating epicardial to body surface potential distributions by means of transfer coefficients based on geometry measurements. IEEE Trans. on Biomed. Eng. 24: 1-11. Baumann SB, Wonzy DR, Kelly SK, Meno FM (1997) The electrical conductivity of human cerebrospinal fluid at body temperature. IEEE Trans. on Biomed. Eng. 44(3): 220-223. 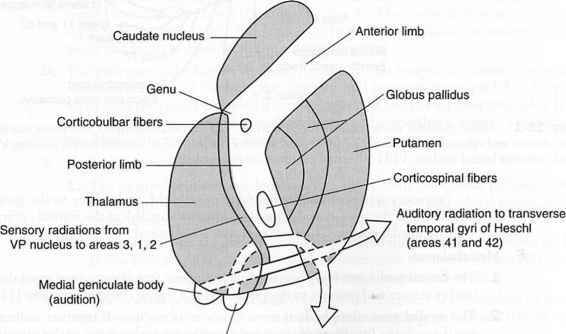 Braitenberg V, Schuz A (1991) Anatomy of the Cortex: Statistics and Geometry. Springer-Verlag. Elul E (1972) The genesis of the EEG. Int. Rev. Neurobiol. 15: 227-272. Ferree TC, Luu P, Russell GS, Tucker DM (2001) Scalp electrode impedance, infection risk, and EEG data quality. Clinical Neurophysiology 112:536-544. Ferree TC (2006) Spherical splines and average referencing in scalp electroen-cephalography. Brain Topography 19(1-2): 43-52. Foster KR, Schwan HP (1989) Dielectric properties of tissues and biological materials: A critical review. Critical Reviews in Biomed. Eng. 17(1): 25-104. Geddes, L. A. and L. E. Baker (1967). The specific resistance of biological materials: A compendium of data for the biomedical engineer and physiologist. Med. Biol. Eng. 5: 271-293. Geselowitz DB (1967) On bioelectric potentials in an inhomogeneous volume conductor. Biophysical Journal 7: 1-11. Geselowitz DB (1998) The zero of potential. IEEE Eng. Med. Biol. Mag. 17(1): 128-132. Gulrajani RM (1998) Bioelectricity and Biomagnetism. John Wiley and Sons. Helmholtz HLF (1853) Ueber einige Gesetze der Vertheilung elektrischer Strome in korperlichen Leitern mit Anwendung auf die thierisch-elektrischen Versuche. Ann. Physik und Chemie 89: 211-233, 354-377. Huhta JC, Webster JG (1973) 60-Hz interference in electrocardiography. IEEE Transactions on Biomedical Engineering 20: 91-101. Jackson JD (1975) Classical Electrodynamics. John Wiley and Sons. Koch C, Segev I (1989) Methods in Neuronal Modeling: From Synapses to Networks. MIT Press. Law SK, Nunez PL, Wijesinghe RS (1993) High-resolution EEG using spline generated surface Laplacians on spherical and ellipsoidal surfaces. IEEE Transactions on Biomedical Engineering 40(2): 145-153. Law SK (1993) Thickness and resistivity variations over the upper surface of the human skull. Brain Topography 6(2): 99-109. Malmivuo J, Plonsey R (1995) Bioelectromagnetism. Oxford University Press. Malmivuo J, Suihko V, Eskola H (1997) Sensitivity distributions of EEG and MEG measurements. IEEE Transactions on Biomedical Engineering 44(3): 196-208. Makeig S, Westerfield M, Jung TP, Enghoff S, Townsend J, Courchesne E, Sejnowski TJ (2002) Dynamic brain sources of visual evoked responses. Science 295(5555): 690-4. Nunez PL (1981) Electric Fields of the Brain. Oxford University Press. Nunez PL (1995) Neocortical Dynamics and Human EEG Rhythms. Oxford University Press. Nunez PL, Srinivasan R (2005) Electric Fields of the Brain. 2nd Edition, Oxford University Press. Oostendorp TF, Delbeke J, Stegeman DF (2000) The conductivity of the human skull: Results from in vivo and in vitro measurements. IEEE Trans. on Biomed. Eng. 47(11): 1487-1492. Perrin F, Pernier J, Bertrand O, Echallier JF (1989) Spherical splines for scalp potential and current density mapping. Electroencephalography and Clinical Neu-rophysiology 72: 184-187. Perrin F, Pernier J, Bertrand O, Echallier JF (1990) Corrigenda: EEG 02274, Elec-troencephalography and Clinical Neurophysiology 76: 565. Plonsey R (1969) Bioelectric Phenomena. Mc-Graw-Hill. Plonsey R (1982) The nature of sources of bioelectric and biomagnetic fields. Biophys. J. 39: 309-312. Press WH, Teukolsky SA, Vetterling WT, Flannery BP (1992) Numerical Recipes in C. Cambridge University Press. Rush S, Driscoll DA (1968) Current distribution in the brain from surface electrodes. Anesthesia and analgesia 47(6): 717-723. Rush S, Driscoll DA (1969) EEG electrode sensitivity - An application of reciprocity. IEEE Trans. on Biomed. Eng. 16(1): 15-22. Schwan HP, Kay CF (1957) The conductivity of living tissues. Annals of New York Academy of Sciences 65: 1007. Srinivasan R, Nunez PL, Tucker DM, Silberstein RB, Cadusch PJ (1996) Spatial sampling and filtering of EEG with spline Laplacians to estimate cortical potentials. Brain Topography 8(4): 355-366. Srinivasan R, Tucker DM, Murias M (1998) Estimating the spatial Nyquist of the human EEG. Behavioral Research Methods, Instruments and Computers 30(1): 8-19. Stok CJ (1987) The influence of model parameters on EEG-MEG single dipole source estimation. IEEE Trans. on Biomed Eng. 34(4): 289-296. Zilles K (1990) Cortex. In: The Human Nervous System Pixinos G (ed. ), Academic Press, New York.